Together with smartphones, tablets are being adopted worldwide at an astounding pace. The International Data Corporation predicts that by 2015 more American Internet users will access the web through mobile devices than through personal computers. 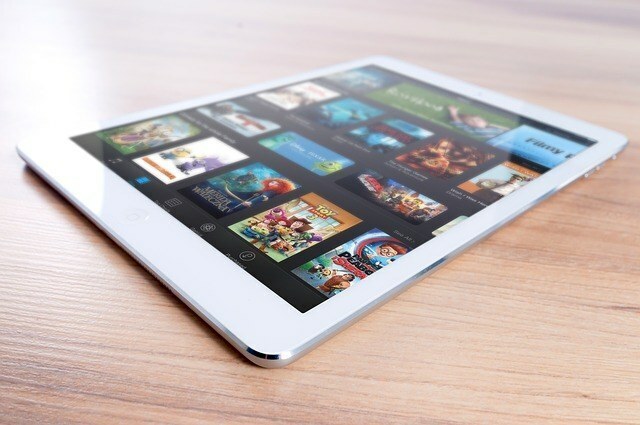 What’s more, market research firm Gartner forecasts that worldwide tablet sales will reach 118.9 units this year, a 98% increase from last year. Since more and more people access the web through tablets, it’s crucial to make sure that your blog content will display well on the smaller screen of tablets, and be easily navigable via touch commands. A blog that uses a theme optimized only for desktops and laptops tends not to display well on any hand-held devices. And what do you think tablet users do when they cannot read your content? They will leave your blog and never return. Making your blog tablet-friendly might be as easy as installing a plugin and configuring a few settings – if you use WordPress – or a bit more tricky if you use other platforms. In general, however, if you use one of the major blogging platforms, you have nothing to worry about. Here’s how to make your blog tablet-friendly. Depending on the blogging platform and the theme you’re using, your blog may or may not already be tablet-friendly. The only way to find out is to test your blog by accessing it from a tablet. The more different tablets you test it on, the better. If anything is amiss, if clickable menus don’t appear where they should, if graphics don’t fit on the screen, if the font is not readable, then note it down. If you use WordPress, you can install a free plugin like Onswipe which makes your blog tablet-friendly in less than 3 minutes. The easiest way to make your blog tablet-friendly is to use a responsive theme, one that looks just as good on desktops as it does on mobile devices. While WordPress free themes are not responsive, they tend to look decent on mobile devices by default. But for best results, you will want a responsive WP theme. Responsive themes are premium, and usually start at around $35. You might also want to choose a theme with a two-column design at most, that is with a focal section for content and a left or right sidebar for widgets, ads, and other things. Not all three-column themes display badly on tablets and mobile devices, but many, if not most of them do, because of the lack of on-screen space. For tablets, themes with a widget bar in the footer might be the best idea, because they let the content take up all the screen space. Tablet users often look for mobile-related content, which includes maps and directions, contact information, and anything else that can be classified as on-the-go content. If you want to make your blog more appealing to tablet users, add plenty of on-the-go content. Don’t add too many photos and videos on the same page. HD videos, in particular, can slow down your website considerably. Don’t use Flash. The iPad does not support Flash natively, and even if it did, there is not much point in using it for a blog. Don’t overcrowd your website with links and sections placed close to each other. A clean and simple navigation won’t only make your blog tablet-friendly, but will also increase its appeal. In the end, remember that tablets, alongside smartphones, will be increasingly used in the years to come by Internet users. If your blog is not tablet-friendly already, you should make it as soon as possible, so you won’t lose any visitors. Himanshu is Tech blogger. He contributes to the Blogging, Gadgets, Social Media and Tech News section on TechNapp. Facebook Traffic Referral Tips That Actually Works!